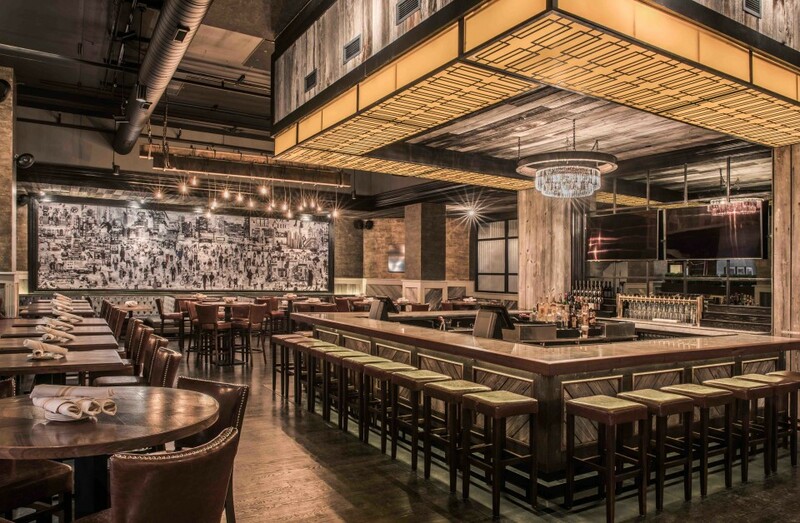 Restaurateur and master sommelier Alpana Singh unveiled the contemporary American clubhouse Seven Lions in February in Downtown Chicago. The expansive restaurant has a modern interior with hardwood floors, bronze-tinted stucco walls and crystal chandeliers, as well as a large lounge area framed in wood with a marble bar and mirrored backdrop. Singh has created a menu with more than 250 American wine labels, predominantly from the West Coast ($11 to $18 a glass; $40 to $490 a 750-ml. bottle). These offerings are joined by 16 American craft beers on draft and 10 in bottles ($5 to $10)—including several local Windy City and Midwestern brands—and more than 20 American whiskies ($9 to $32 a 2-ounce pour). Seven Lions’ cocktail program features patriotic signature drinks like The National Anthem, made with Coppercraft Applejack brandy, Stirrings Ginger liqueur, Peychaud’s bitters and apricot preserves, and the Live Free or Rye, blending Rittenhouse rye, Campari aperitif and Punt e Mes sweet vermouth (cocktails are $12). The kitchen is helmed by chef Chris Curren and serves modern clubhouse fare, including rustic dishes like lamb ribs, wild boar chops, citrus-braised pork shank and a variety of steaks (entrées are $13 to $65). Chef Alon Shaya, in partnership with New Orleans restaurateur John Besh, opened the modern Israeli eatery Shaya in the city in February. Featuring a menu that highlights local ingredients, Shaya boasts a mosaic tile–covered wood-fired oven and a shareable menu of global dishes that have roots in Israel, the Middle East, Northern Africa, Eastern Europe, Turkey and Greece. The chef focuses on seasonal fare and responsible sourcing, offering house-made pita bread, roasted lamb shanks, falafel, kebabs and babaganoush ($8 to $32). Beverages include a lengthy European wine list ($8 to $14 a glass; $34 to $200 a 750-ml. bottle) and a variety of craft beers ($6 to $14 a bottle). The casual restaurant also features an outdoor courtyard planted with juniper and pomegranate trees. Celebrity chef Gordon Ramsay launched Gordon Ramsay Pub & Grill at Caesars Atlantic City Hotel and Casino in February. A sister venue to the original Las Vegas unit, the restaurant offers British pub fare like bangers and mash, Yorkshire rib roast, and steak and ale pie, as well as 26 draft beers and myriad bottled and canned offerings. The Museum of Contemporary Art in Detroit unveiled Café 78 in February. Operated jointly with the team behind local restaurant Wright & Co., the American café serves soups, salads, sandwiches and snacks, as well as wine, beer and craft cocktails inspired by pieces in the museum. Featuring seasonal American cuisine and a regularly changing menu, Kindred opened in February in Davidson, North Carolina, just outside of Charlotte. Operated by husband-and-wife team Joe and Katy Kindred, the venue offers modern fare prepared with traditional techniques and an extensive wine list from small producers, as well as craft beers and updated classic cocktails. 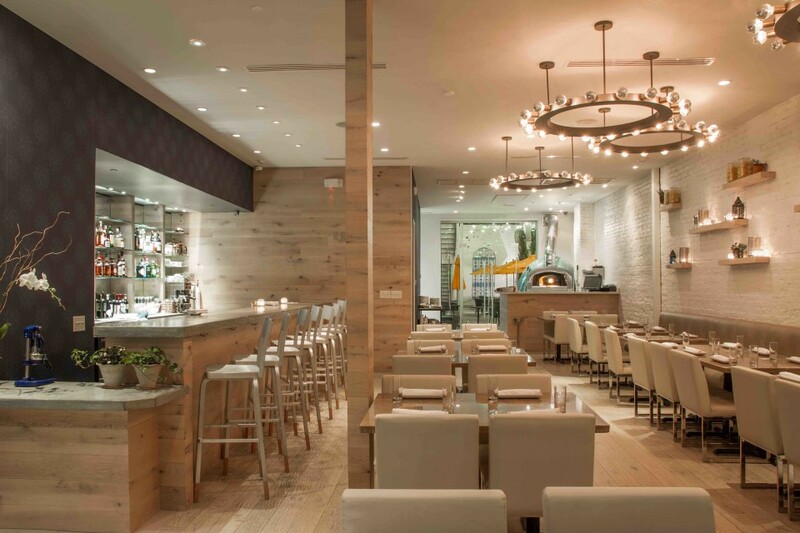 Upbeat French restaurant Bagatelle expanded to Miami’s South Beach in March. Located in the new Villa Bagatelle Hotel, the venue features contemporary fare and a bustling drinks program with specialty cocktails and a lengthy wine menu.